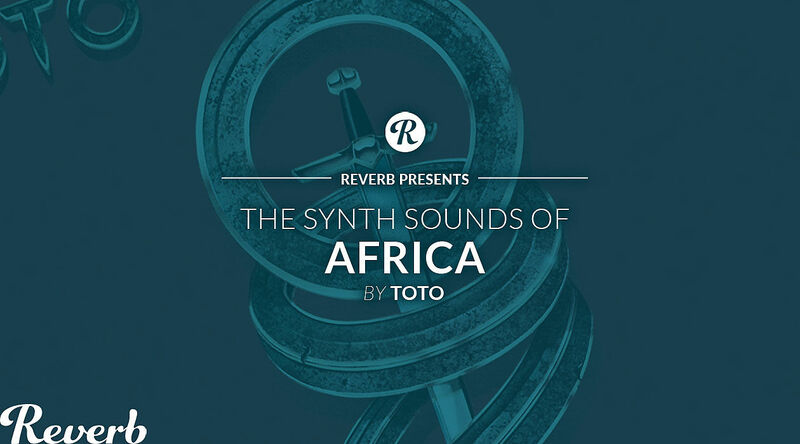 The Synth Sounds of Toto's "Africa"
Welcome back to a brand new season of "The Synth Sounds Of…"
Our first season looked at some of the largest pop songs of the '80s, including Prince's "1999," Madonna's "Into the Groove," and Van Halen's "Jump." For Season 2, we're summiting another peak of '80s synth pop with Toto's "Africa." As William Kurk explains in the video above, the enduring soft rock anthem was the creation of the "Avengers-like" supergroup of session musicians, which included keyboardist David Paich, who co-wrote the song along with drummer Jeff Porcaro. The first of the two important synth parts is a brass sound originally played on a Yamaha CS-80, a monstrous 8-voice polyphonic synth. Instead of an original unit, William shows that you can easily craft the sound with the Arturia CS-80 V, a faithful software emulation of the synth. However, he also finds the same brass sound on the Sequential Circuits Prophet-5. After a brief digression with a non-original Oberheim DX drum machine fill, William sets about recreating the second crucial sound of the song—the kalimba. Toto originally recorded the line with the Yamaha GS1, stacking six performances of the part on top of one another to create its fat tone. But William is able to use Patch 30 in Yamaha's TX7 (the brain-only, non-keyboard version of a DX7) to craft a similar tone. As a "bonus round," William also uses the Prophet-5 to play the song's rich, analog flute part. Be sure to watch the full video above to hear all the parts in action. Download the DAW sessions (for Ableton Live, Logic, or Pro Tools) below to explore this classic set of synth sounds yourself. You can also download our "Africa" Presets for free. The presets, DAW sessions, and Reverb Demo Track make use of the Arturia CS-80V, Arturia DX7 V, and the free DiscoDSP OB-Xd. Arturia Sale: Now through September 20, U.S. customers can get a Reverb Exclusive discount on the Arturia software synths used in our videos. Use promo code REVERBSOUNDS2 at checkout for 33% off the Arturia CS-80 V and 20% off the Arturia V Collection 6. Synth Sounds Moog Model D Giveaway: Also through September 20, we’re offering you the chance to win the tools to create your own signature sound with the Reverb The Synth Sounds Of Giveaway. Click here to learn how you can win a Moog Model D; an Arturia KeyLab 49 MIDI Controller with Ableton Live 10 Standard, Arturia V Collection 6, Reverb Digital Exclusive Content Bundle; or $100 in Reverb LP bucks.